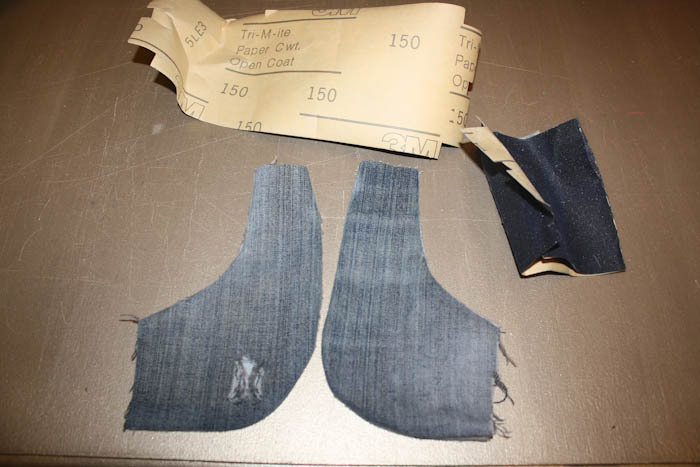 Making jeans can be a little intimidating for some… and we’ve already had a post here about making jeans look more like store bought jeans with details like top-stitching thread and distressing. 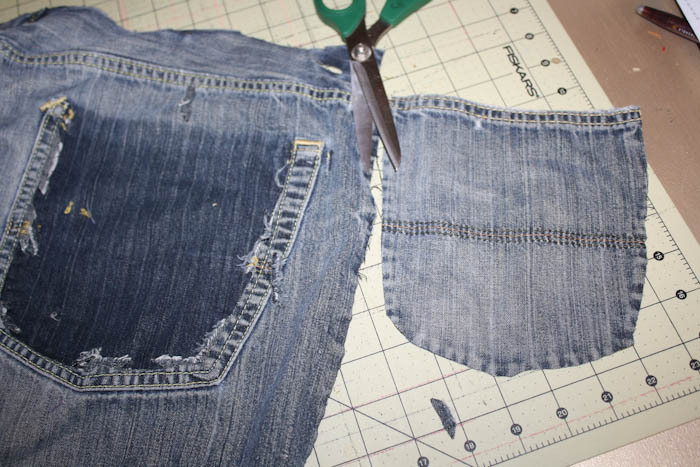 1- Making a few cuts along the seams can really make cutting your pieces much easier! 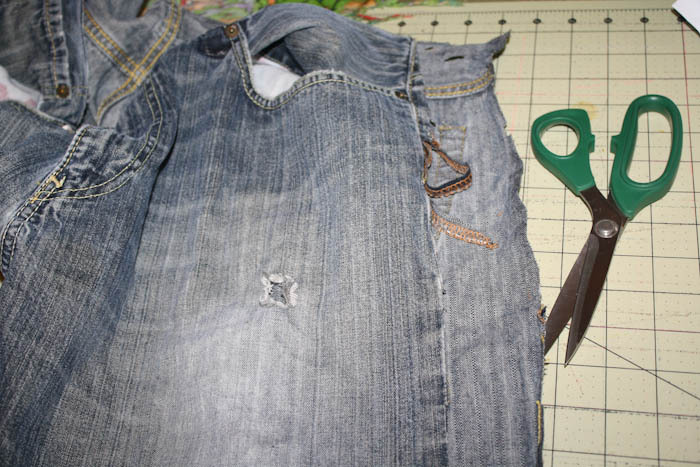 I like to cut along the inside legs/crotch, cut off the waistband and beltloops, and the back pockets. 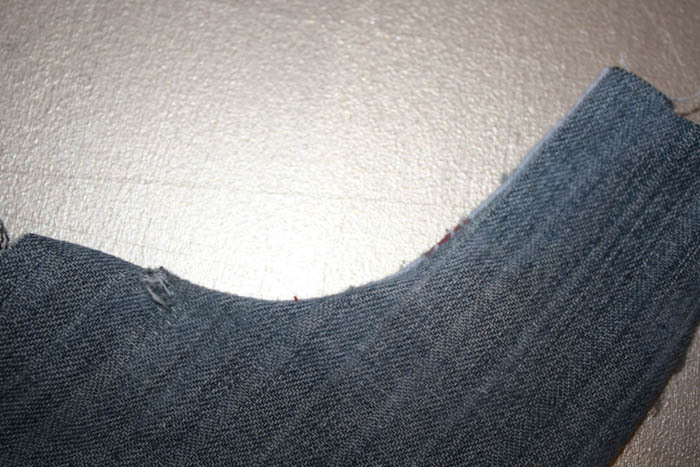 2- Be cautious about distressed/washed jeans and laying out your pattern pieces… meaning, if your jeans have a very obvious fade/wash/distress pattern on them then you need to make sure you like where it will be placed and that it will match when you sew up your jeans. 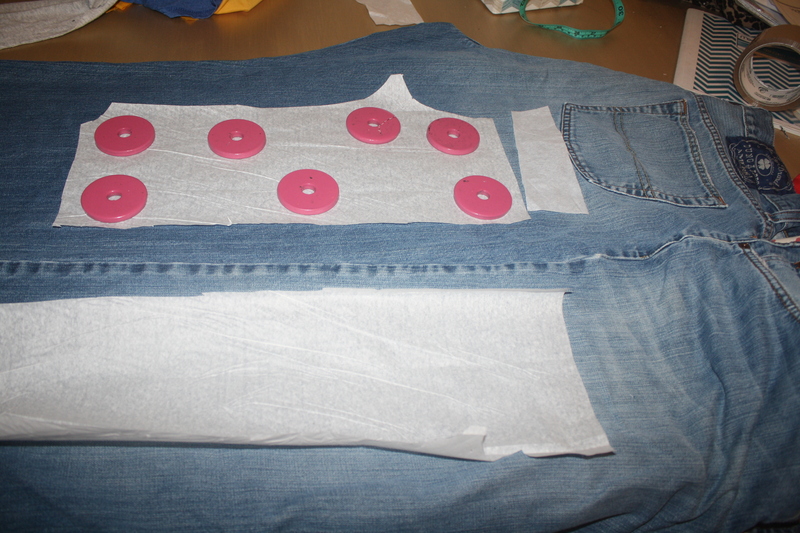 For this pair, I wanted the distressed area of the original jeans, so I laid my patterns around that. Notice that my two pieces are very close to the same area horizontally, and that the back yoke is placed above the back piece. All of this will ensure that the distressing and wash look natural on my finished jeans. 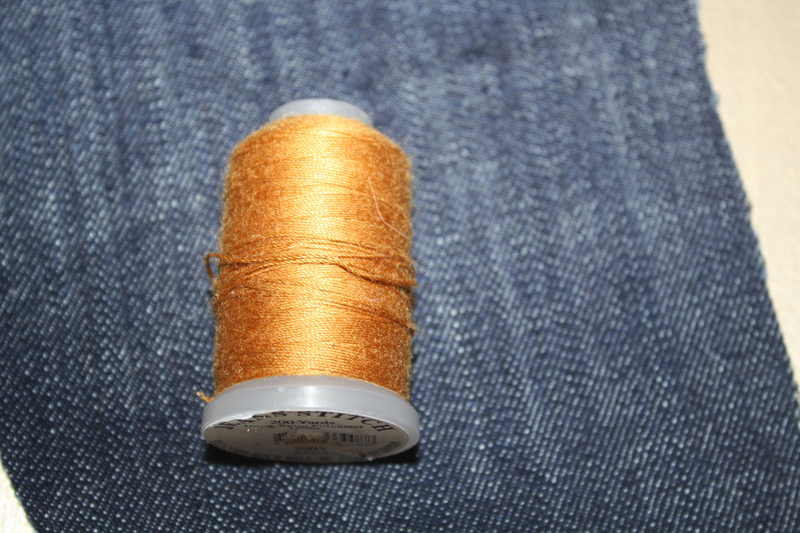 You can also use the original hem line if you prefer to get that instead. 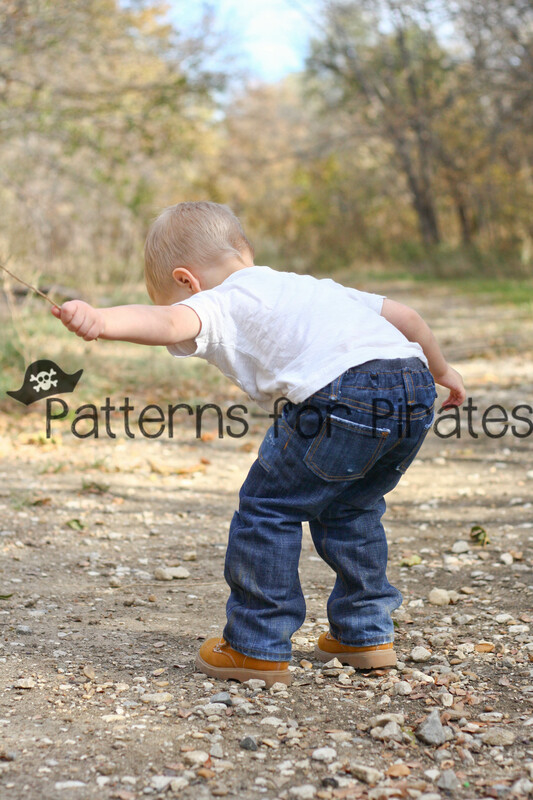 Remember to account for hem allowance. 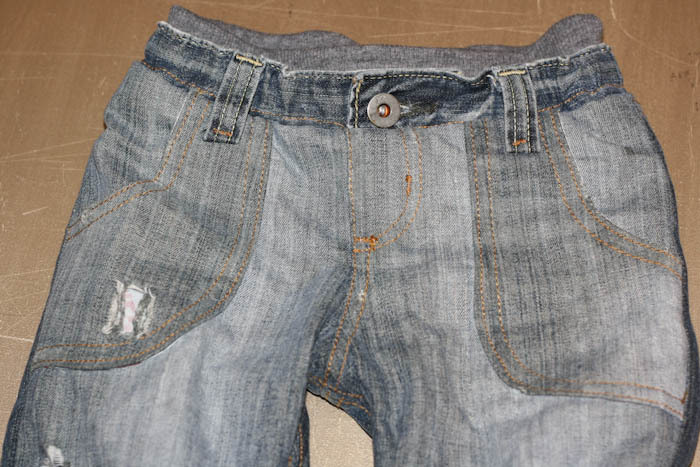 I did that with this pair, because my jeans didn’t have a very noticeable distressing. 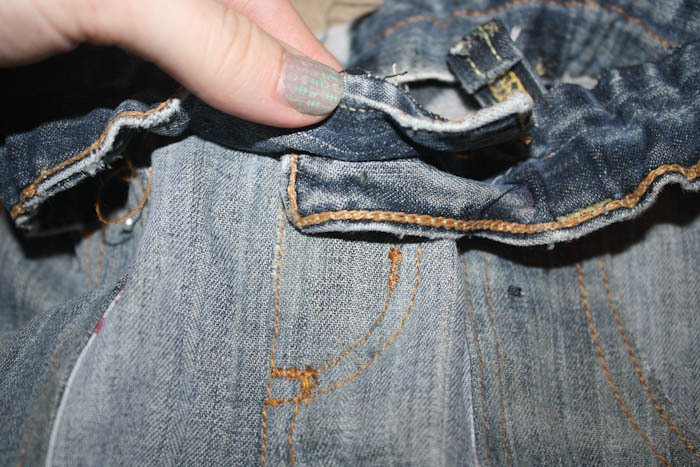 Use the back pockets when cutting your new pockets, Remember to account for the hem allowance at the top. 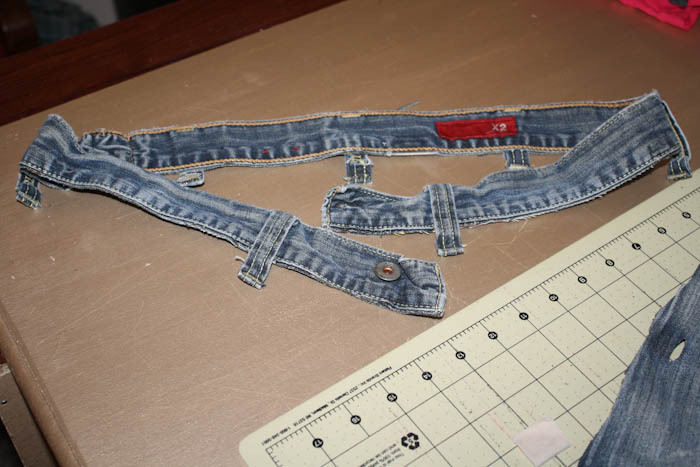 3- Now that you have your pieces cut you will continue to sew them just like the pattern calls for matching the store bought top-stitching thread as best you can. And although they have a wash and distressing, I STILL distress along the way! 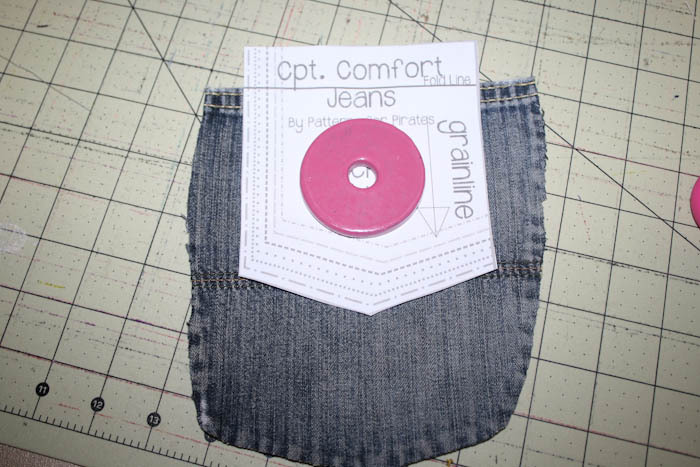 That way my finished jeans will have the distressing where store bought jeans do, like along pocket lines. Now you have a great fitting (no plumbers crack!) 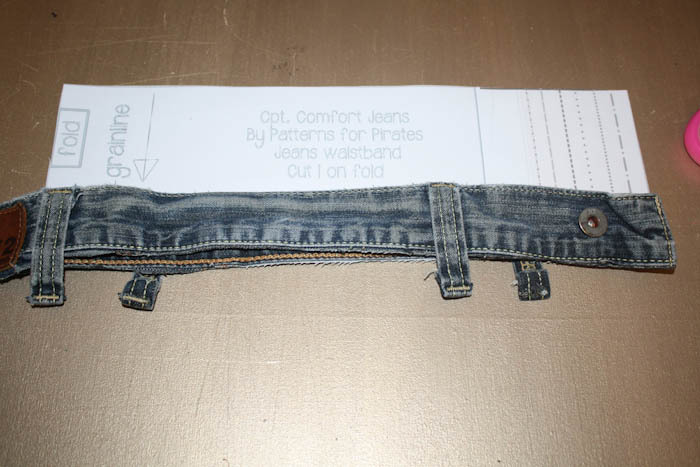 pair of jeans that cost you nothing but the thread and time <3 and plus they look amazing! Love this idea! 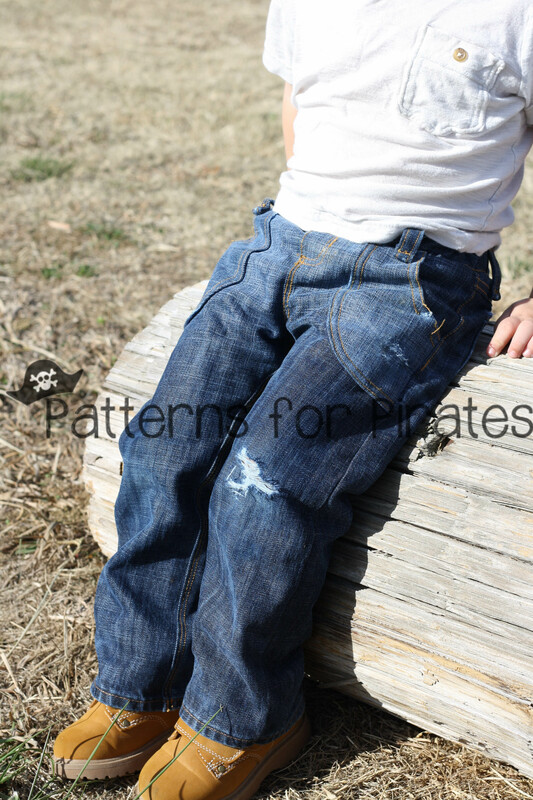 My youngest always has sizing issues with jeans – if they fit him around the waist then the legs are too long. 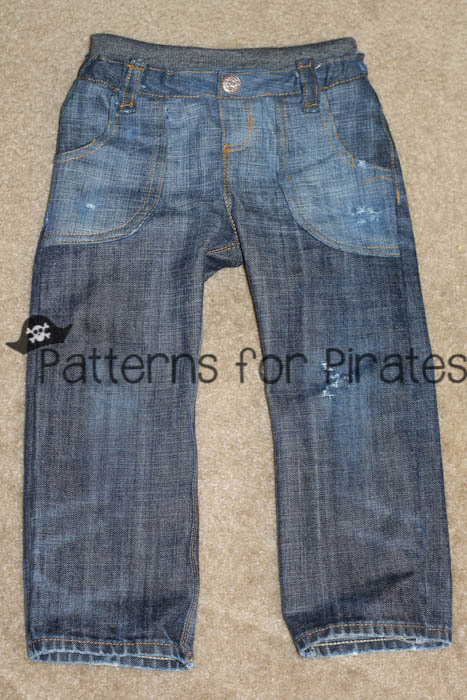 Not sure if I have any jeans around that I can sacrifice but thrift store jeans would certainly be an option too and considerable cheaper than buying new fabric. Thanks!